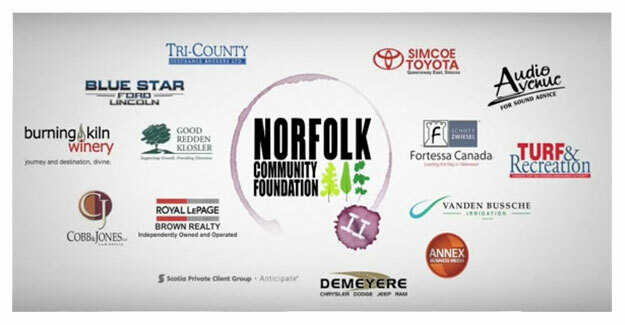 The Norfolk Community Foundation is an incorporated public foundation with the objective of accumulating capital, earning investment income and using this income to make charitable donations in Norfolk County. This gift was made possible from the Doug & Starr Demeyere Fund. We are very grateful to have their support to keep this donor-funded program operating in our community. 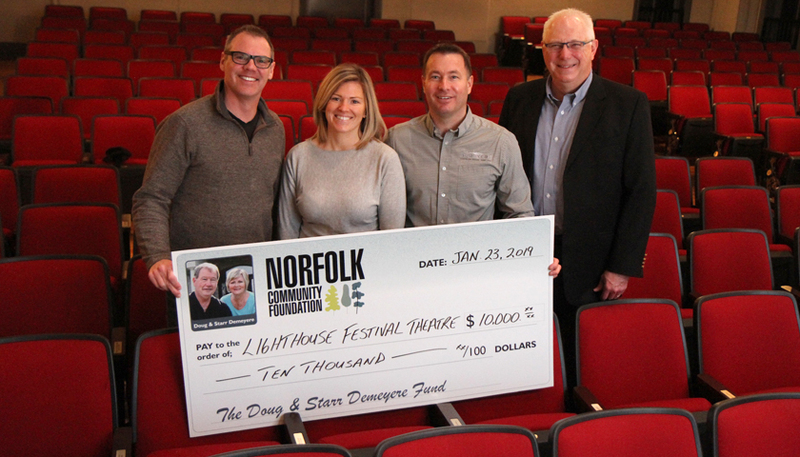 The marquee welcoming visitors to Lighthouse Festival Theatre shines brightly thanks to the support of community partners like the Demeyere family and the Norfolk Community Foundation. Waterford United Church voted to join a large group of churches and community members as part of the Norfolk Refugee Committee (NRC). The NRC initially committed to sponsoring three refugee families. If you would like to donate to our "General Funds" account that is managed by our Board of Directors please click the icon below and follow the instructions. Your dontation will join hundreds of others that help our community in so many ways. Matt O'Donnell was in the prime of his life when he passed away tragically in the fall of 2017. Matt had an enormous heart and was a great sportsman and community volunteer. Matt was especially interested in firefighting and helping special needs children. He left his many friends and family far too soon. 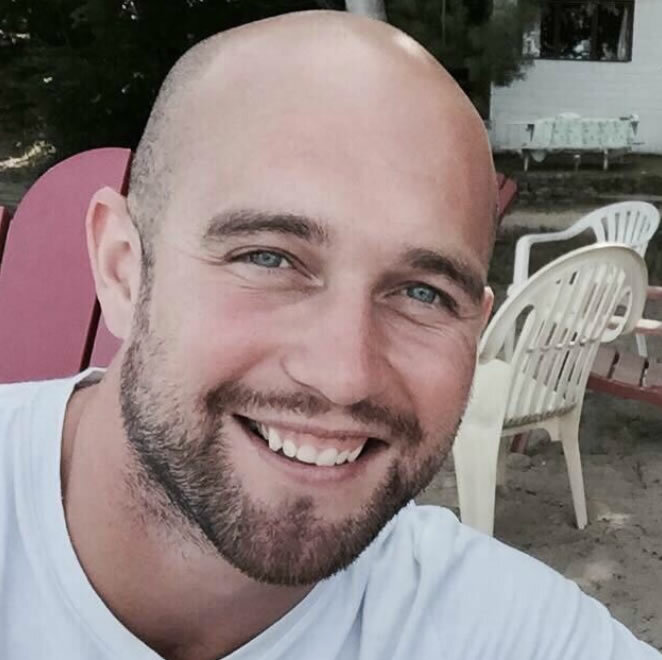 A memorial donor advised fund has been created in Matt's name. Matt's family will act as donor advisors to ensure annual donations are directed to causes that would have been special to him. 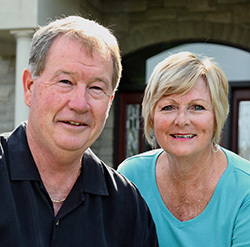 Doug and Starr Demeyere were exceptional community builders and supporters. From sponsoring teams, helping individuals, donating to community charities or working on volunteer boards, the Demeyere's could always be counted on to be front and centre with their support. Unfortunately they passed away in a house fire in 2015. A memorial donor advised fund has been created to continue the good works of Doug and Starr. Their children Derek and Khristy are the donor advisors selecting donations made form this fund. Established during the 100th reunion of SCS and awarded to a SCS graduating student entering a post-secondary education program who is in financial need. Awarded to a Norfolk County graduating student entering a post-secondary education program and advancing in the studies of business. Advance and promote undertakings of a cultural, educational and environmental nature. 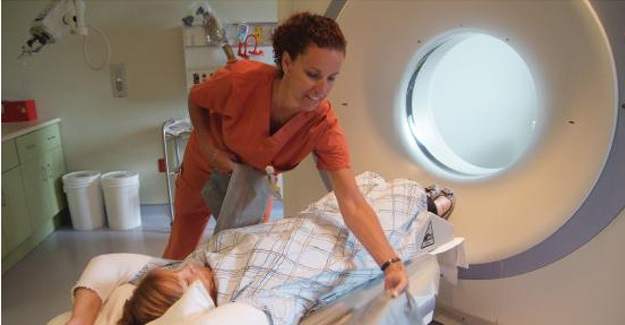 Initially established by John Race and subsequently partnered with Norfolk General Hospital with a focus on furthering the education of NGH staff. Awarded to the graduating female of highest academic standing, pursuing a post-secondary education, in each of the Norfolk County secondary schools. Awarded to a SCS graduating student entering a post-secondary education program who has demonstrated both academic excellence and active participation in school activities. Awarded to a SCS graduating student entering a post-secondary education program and advancing in the studies of business. Awarded to a Norfolk County graduating student entering a post-secondary education program and pursuing an education in the arts. Awarded to a SCS graduating student entering a post-secondary education program and advancing in the health field. This is a donor directed fund supporting various endeavours in the county from healthcare to culture. This is a donor directed fund assisting various endeavours in the county that were supported by the namesakes. 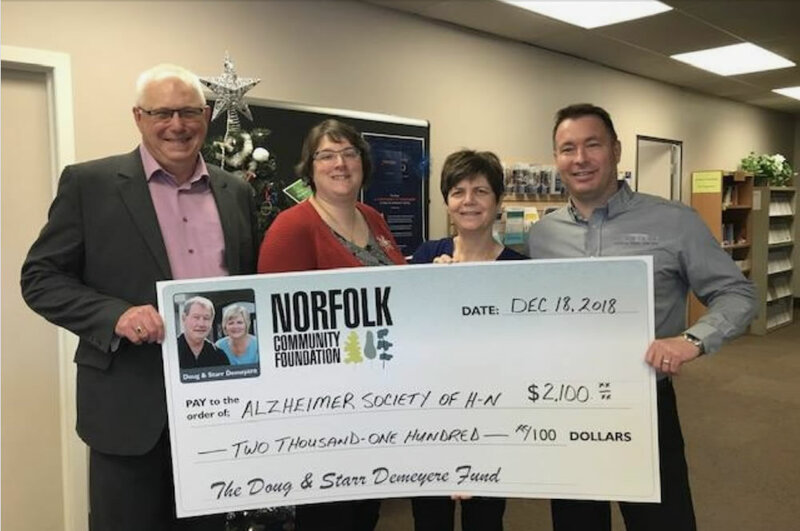 The Foundation supports charitable organizations concerned with education of the public, health, arts and culture, recreation and social services that operate for the citizens of Norfolk County. 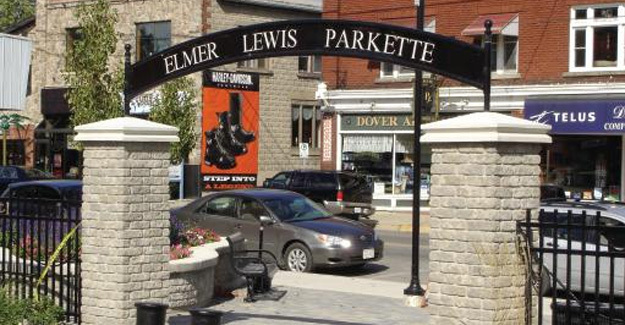 Grants are made only to registered charitable organizations (or to endeavours sponsored by an organization with charitable registration) serving the residents of Norfolk County. Grants are awarded to educational institutions on the basis that the project encourages more efficient use of community resources. Requests from local chapters of organizations existing primarily to raise funds for health-related projects will be considered only if the project provides service/support for patients or care givers, or specific health promotion initiatives and medical professional recruitment in this community. 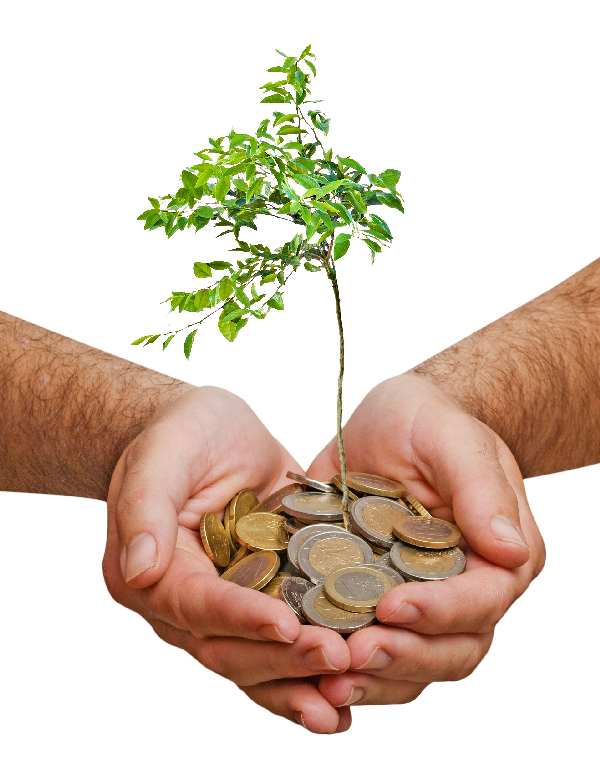 Grants are awarded for definite purposes, and for projects covering a specified period of time. Multi-year grants are subject to periodic performance reviews. Bursaries and scholarships are awarded to educational institutions and not to individuals as per our endowment fund guidelines. 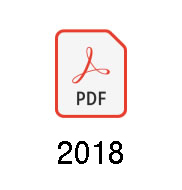 Pilot or demonstration projects must include provision for an evaluation, and a realistic plan for financial viability beyond the pilot stage. Grants are not considered in support of operating expenses or capital deficits. Grants are not made to religious/political organizations for direct religious/political activities. Your organization must be a registered charity. The grant is only for capital projects NOT day to day operations. Working to help our community through your donation. 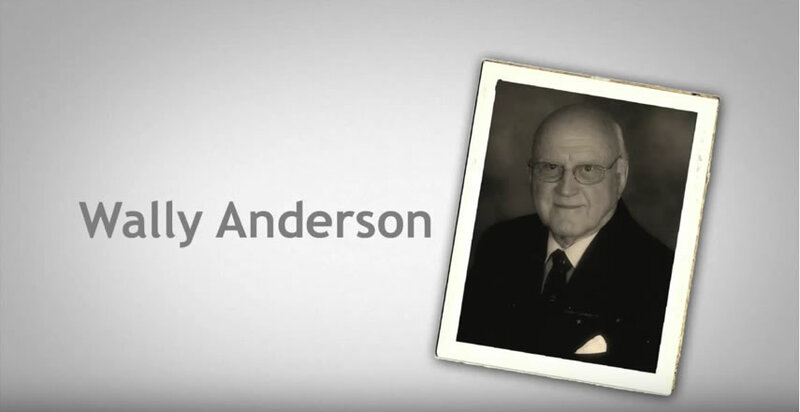 Your donation is permanent and will continue to give to the community for generation. You can help one charity or a number of charities with your gift to the foundation... it is your choice. Your gift stays in our community and helps where you want it to or where it's needed most. Knowing your gift will make a difference in our community for generations to come makes us an easy choice. The funds are professionally managed to ensure good return at minimal cost, subjected to an annual audit and public AGM. 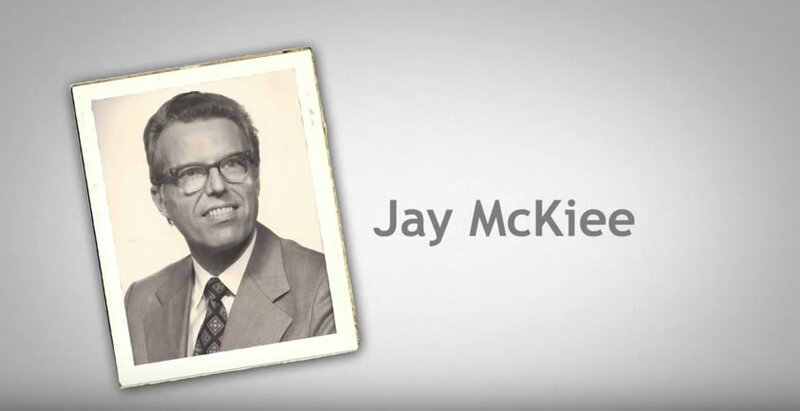 Your gift results in tax savings for you and your estate. You can be recognized as a donor or remain anonymous. 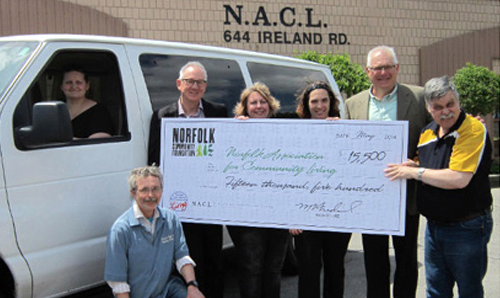 Who Administers the Norfolk Community Foundation? The organization is operated completely by a community-minded board of volunteers. 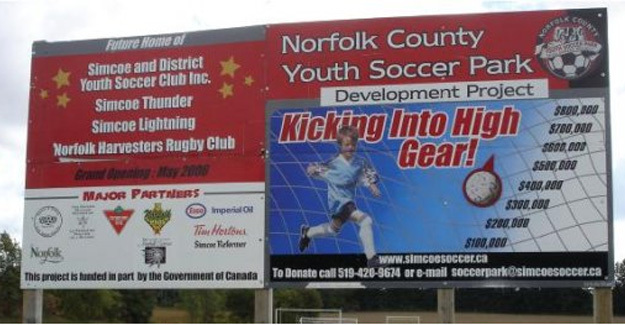 The board is made up of people from all areas of Norfolk County. 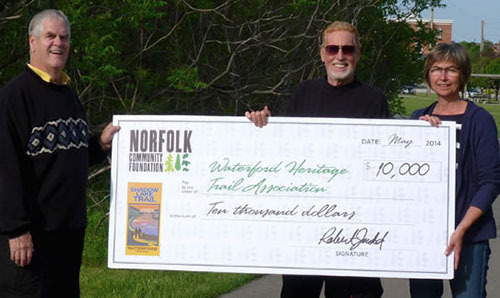 President & Publisher, Turf & Recreation Publishing Inc.
Graphic Art Design & Illustrator, Robert Judd Design Co.
Doug and Starr Demeyere were civic-minded residents who gave back to many good causes around Norfolk County. After their untimely passing in 2015, the Doug and Starr Demeyere Fund was created to continue the couple's legacy of community service. The Demeyere children advise the Norfolk Community Foundation as to how the fund's proceeds should be distributed each year in the form of grants to projects and organizations that benefit Norfolk County. 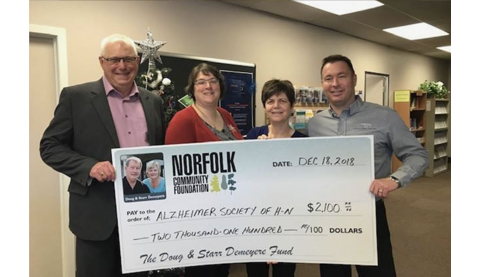 In honour of Doug and Starr, who were regular patrons at Lighthouse, the foundation committed $10,000 over four years in support of recent campaigns to redo the front entryway and replace all the theatre seats. "Anything to do with the arts, my mom was big into," Derek Demeyre said, adding that Starr brought the family to many Lighthouse performances and special events. "Lighthouse was a real passion of hers," he said. We were delighted to have Bruce Shoff & Derek Demeyere from Norfolk Community Foundation stop by Hazel Place today. They dropped by to make a donation to Norfolk's Creative Expression program; this gift was made possible from the Doug & Starr Demeyere Fund. We are very grateful to have their support to keep this donor-funded program operating in our community. 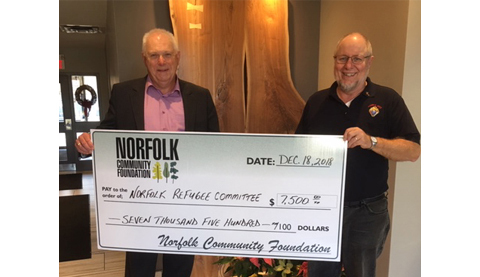 On November 1, 2015, Waterford United Church voted to join a large group of churches and community members as part of the Norfolk Refugee Committee (NRC). The NRC initially committed to sponsoring three refugee families. The Committee applied in January 2016 through the Roman Catholic Diocese of London to sponsor a Syrian refugee family. In April 2016 the NRC welcomed a Syrian family of six, parents and four children. At first the parents worked on ESL lessons at home with volunteer teachers. They later attended ESL classes three days a week in Brantford, driven by NRC volunteers in cooperation with another sponsorship group. The NRC's sponsorship for this family ended in April 2017, but the family continues to live in the area. November 2018 saw the arrival of a second Syrian family of eight, parents and six children. They were followed in December 2018 by a third Syrian family of five, parents and 3 children. The four adults are attending ESL classes in Brantford three days a week. 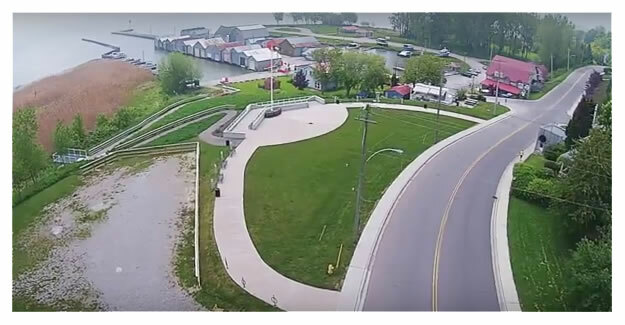 Connect the urban area of Waterford with the TransCanada Trail network with an attractive and inviting green space. We would like to recognize some of our members with gratitude for their outstanding contributions to our foundation. Redirecting to Paypal for making donation.